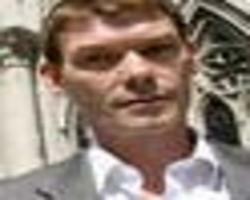 Gary McKinnon’s legal team has appealed to the new coalition government to halt the self-confessed hacker’s extradition to the US. The Nasa hacker’s solicitor Karen Todner said in a Friday statement that she had asked the Conservative home secretary Theresa May to “intervene and prevent the extradition of Gary McKinnon to the USA”. McKinnon, who suffers from Asperger syndrome, hacked into 97 US military systems between 2001 and 2002 in what he claims was a search for evidence of extraterrestrial life. According to the US authorities, he caused $700,000 £485,000 damage and should stand trial in that country. If convicted in the US, he could be sentenced to 70 years in a maximum security federal prison. A succession of Labour home secretaries, including Jacqui Smith and Alan Johnson, refused to intervene in McKinnon’s case. Johnson declined to halt the extradition despite fresh evidence of McKinnon being suicidal and on medication — a decision that will be reviewed by the administrative court at the Royal Courts of Justice next week.